Right up there with chocolate and peanut butter, chocolate and coconut is one of my favorite combinations. I love granola, cookies, bars, pies, etc. that have chocolate and coconut in them! I’ve made almond joy granola bars, but I wanted something slightly more decadent this time. 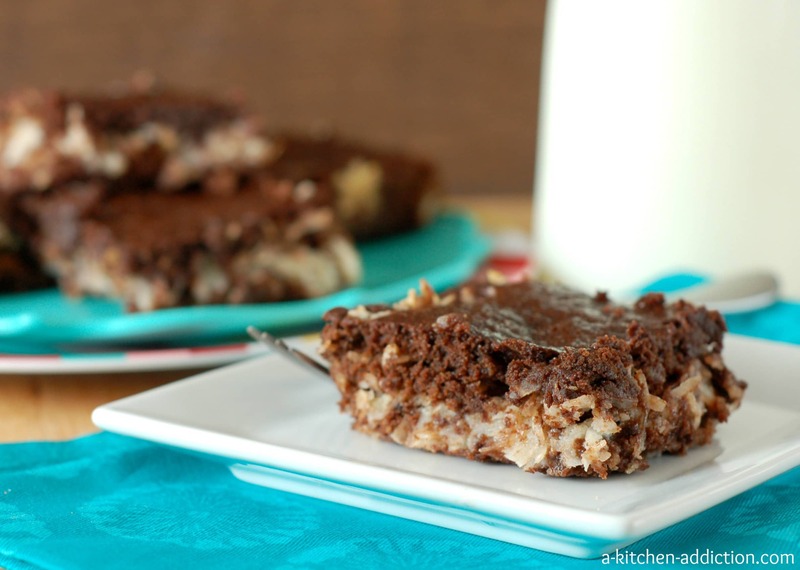 Enter rich, fudgy brownies stuffed with sweet coconut and crunchy almonds! These brownies are a modification of this recipe for skinny brownies (perfect for when you have a chocolate craving but you don’t want to load up on calories at the same time!). I added a little melted butter to up the fudgy/gooey factor. The middle is filled with coconut, fat-free sweetened condensed milk, and chopped almonds. The classic flavors of an almond joy candy bar! Notes: These brownies are easiest to cut after they have been chilled. If you don’t have patience, you can cut them warm, but they will be slightly gooey. Also, they are easiest to cut with a plastic knife. But, really, all you need to do is grab a fork and dig in! Preheat oven to 350. Spray a 9x9 or 8x8 inch baking dish with non-stick cooking spray. In a small bowl, whisk together flour, baking cocoa, salt, and baking soda. In a large bowl, stir together sugars, melted butter, yogurt, and milk. Add in eggs and vanilla extract and beat until well-combined. Add dry ingredients to wet ingredients and beat until just combined. Spread half of brownie batter into the bottom of prepared baking dish. Combine all ingredients for the filling until well-mixed. Drop by spoonfuls over the top of the brownie batter and gently spread with a spatula. Spread remaining brownie batter over the top. Bake for 25-35 minutes or until set and toothpick insert into the middle comes out mostly clean. Allow to cool for 30 minutes before transferring to the refrigerator and allowing the brownies to cool another 30 minutes. Cut into bars. This recipe is linked with Strut Your Stuff Saturday, Time to Sparkle, What’s Cookin’ Wednesday, What’s in Your Kitchen Wednesday. Oh yum! These is a fantastic combo – some of my favorite things!! I am all for a fudgey brownie with lots of coconut! These look great!!! Almond Joys are a favorite around here 🙂 Love these..they look delicious! I agree with you, chocolate + coconut is such a great combination! I’ve made almond joy granola before, and loved it. I love the thought of these brownies! Favorite brownies everrrrr right here! You’re killing me with these brownies! Don’t you know I can never resist grabbing an Almond Joy at the grocery store checkout?! One of my favorite candies in a brownie?! Yay! My dad loves Almond Joys and his birthday is coming up. I’ll have to tuck this away and surprise him! Can you believe I’ve never had an almond joy before?! Yeah, that needs to change ASAP! Oh wow, these look SO good. 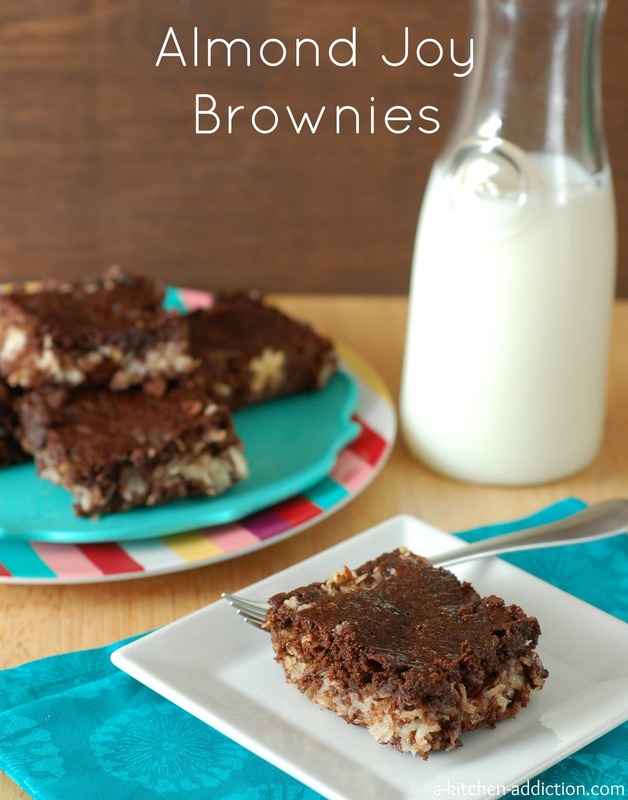 I love almond joys, so I know I’d love this brownie version! I agree, I love chocolate and coconut together! These brownies are pretty fabulous! I’m a recent convert to coconut and ohhhh I love it with chocolate! These brownies look fab! Wish I liked coconut since these look to die!! There’s no skimping on the coconut in this brownie…I’m loving it Jessica! Soooo yummy! If I could lick the screen… I would. I love almond joys and this brownie would make me jump for joy!! Those look so good! A great combination! Eek! 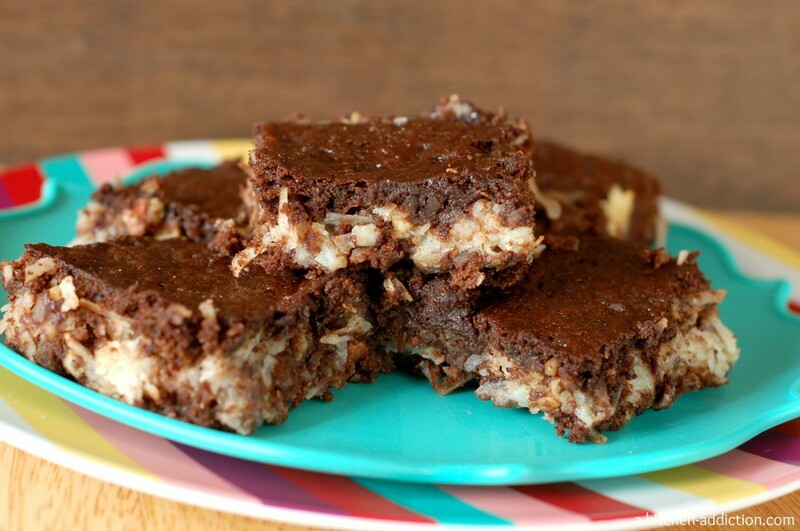 Almond Joys are my favorite candy bar.. and these brownies look like they could easily be my new favorite, too! LOVING that incredible coconut center! What a great brownie! They look so delicious. 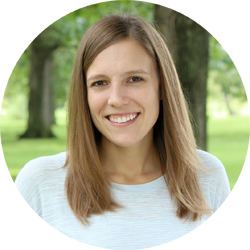 We’d love to have you link them up with our Wednesday link party. Oh wow… this looks so good! I know I will love it.